An ad agency is testing a new app that uses strategically placed cameras, facial recognition tools, and Facebook histories to offer targeted local deals. The system, dubbed Facedeals, uses cameras placed at the doors of participating stores and facial recognition software to identify users of the app and then offer them customized deals based on their history of likes and interests on Facebook. The company notes on its Web site that it and the product are "not affiliated with Facebook." 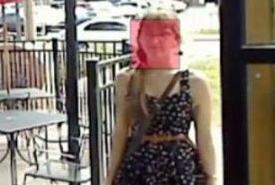 The app users must opt-in to allow Facedeals to create facial recognition files, which enable users to check in to a participating retailers simply by being recognized by Facedeals cameras. 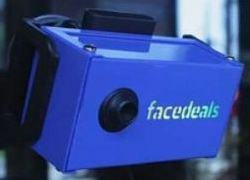 A camera recognizes a Facedeals user. This story, "Custom Ads Consult Your Facebook Likes" was originally published by Computerworld.